Picture books make great mentor texts to teach the 6 Traits of Writing! And while there are so many great picture books out there, when do you have time to look through all of them to pick out a passage for your next mini-lesson? That's what prompted the Trait Trackers. 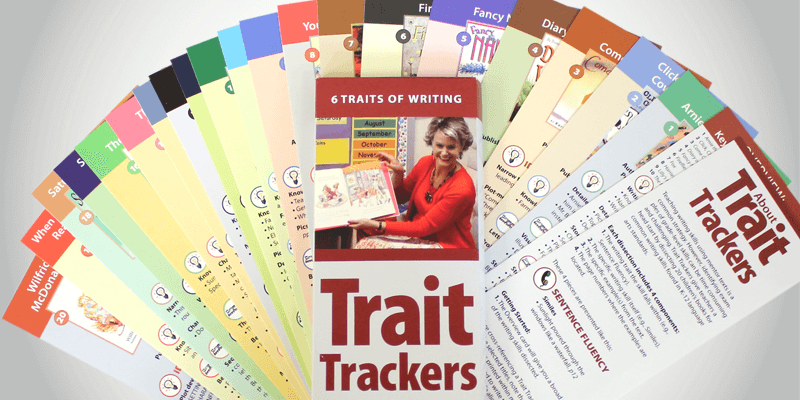 Slipped into the matching books, the bookmark-sized Trait Trackers allow teachers to easily find the most important skills from each of the 20 titles included. Rather than reading a picture book aloud and trying to figure out what to teach from it, the Trait Trackers list skills and page numbers. No guesswork -- all the dissecting has already been done! Students need examples from authors simplified, broken down so that they can grasp skills within the overall text. Simply reading a good picture book isn't enough. 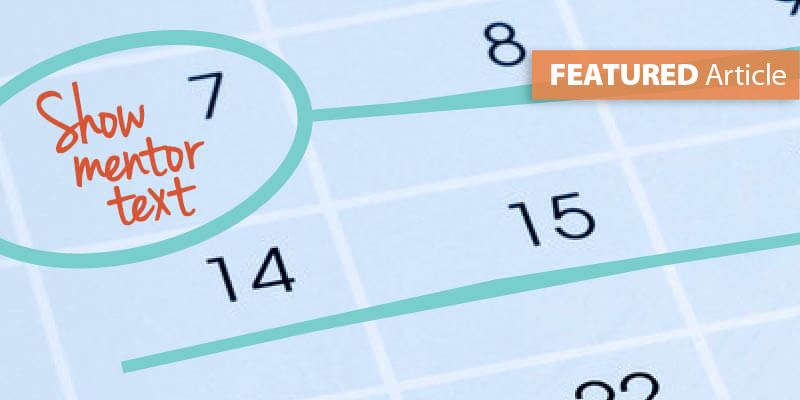 Taking the time to develop trait-based mini-lessons based on skills within the books allows students to see what the author chose to do intentionally with good word choice, idea development, figurative language, and more.